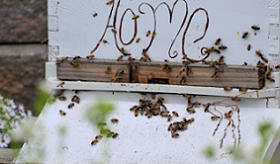 A family run honey farm naturally growing honeybees producing pure real honey. 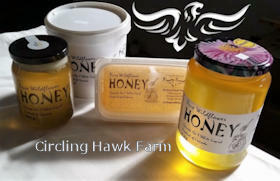 Our customers say we have the best honey they've ever tasted. We tend to agree. It's all natural, local, raw, and unpasteurized. We are the closest operating honey farm to Toronto so come and get it directly from our bees. 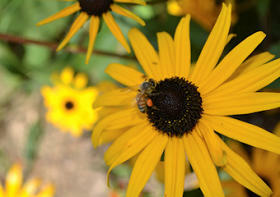 We are known for our friendly service and pure natural honey, pollen and comb. We keep bees because they are the most fascinating insects alive and the abundant wild flowers and alfalfa on and near our farm allow the bees to make beautiful honey. Three generations are involved in the farm and it's our mission to provide the freshest and finest honey in Ontario. 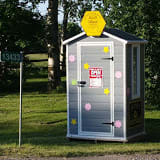 Aside from producing apiary and market fresh products we also produce a limited number of queen bees for local pickup. We also will remove honeybee swarms from trees and fences. Please contact us for tree swarm removals located in the Richmond Hill, King City, Markham, and Aurora areas. All honey bee swarms are fed and tested and treated. We can't usually remove bees that may have nested within a building. All our honey is raw. We do not spray any pesticides on our property and we always use non-GMO organic seed, products, and methods. Buying local honey supports local honeybees. Local bees are invaluable to our local nutrition, natural habitat and agricultural economy. Our honey is minimally processed in small batches to ensure freshness and to preserve the living qualities of pure honey. Wild flowers contribute a considerable amount of pollen and nectar to our honey. Wildflowers predominant in our area are Blackeyed Susan, Milkweed, Dogwood, Goldenrod & Aster. Our wildflower honey is a light honey. Every year it changes with what blooms are produced by what plants. Rainfall and weather affect what plants are produced and are therefore used to make wildflower honey. If the honey is not single sourced (ie goldenrod, etc. ), it is simply called wildflower honey. White clover is also abundant near the hives as it grows extremely well near and in horse paddocks. 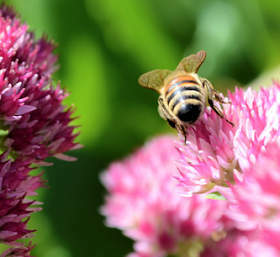 Over 100 horses live near the bees foraging territory this creates a great deal of clover. The clover in our clover honey includes white clover, alsike clover, plus white and yellow sweet clover. Clover contributes to the sweet, flowery flavor and a pleasing mild taste. 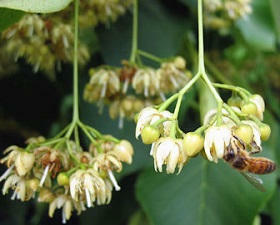 Abundant basswood trees (Tilia Americana) as well as the following tree varieties are within the bees foraging range: linden, maple, locust, apple, cherry, willow, buckthorn and sumac. We always extract honey directly after the basswood trees bloom. This gives the honey a delicate minty flavour unique to our area. 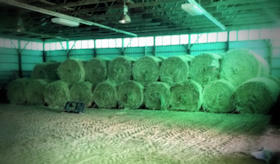 The honeybees at Circling Hawk Farm are surrounded by hundreds of acres of hay and pasture fields. We manage a large field to the east of the hives and the neighbouring farms manage fields to the north and south. These hay fields are pesticide free and contain a mix of native grasses, timothy, fescue, plus lots of alfalfa which produces a large amount of nectar which is highly attractive to the bees and from which our honeybees produce excellent crops of high quality honey. Alfalfa honey is white or extra light amber in color with a fine flavor. Alfalfa honey is widely accepted as a perfect table honey for everyday use.